The Biker | Old Morris Tobacconist Victoria BC, Fine Cigars, Humidores and Tobacco Merchantile. Don't mess with this monster Forchino! 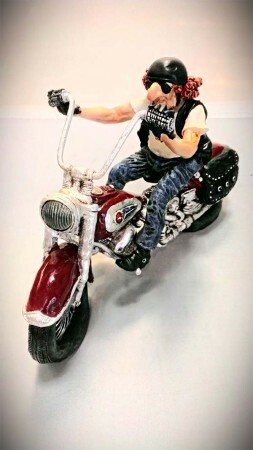 A stubbly, tattooed biker man is on a mission as he rolls heavy in the fast lane, straddling his fearsome metal steed: a dark red chopper in the storied Harley tradition.